The Asia Indigenous Peoples Pact (AIPP) is a regional organization founded in 1988 by indigenous peoples’ movements in Asia. Based in Chiang Mai, Thailand, AIPP has 46 member-organizations from 14 countries. It is committed to promoting, asserting and defending indigenous peoples’ rights and human rights by strengthening the solidarity and cooperation of indigenous peoples, and through capacity building and articulating issues and concerns of indigenous peoples in Asia. 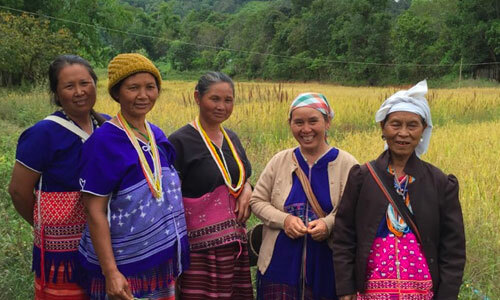 AIPP works at the grassroots, national, regional and international level through its six different programs: (1) Human rights, (2) Regional Capacity Building, (3) Environment, (4) Indigenous Women, (5) Research and Communication Development and (6) Indigenous Youth. The AIPP secretariat implements these programs in direct collaboration and partnership with the members and its network – especially Indigenous women and youth, media communicators, and human rights defenders.